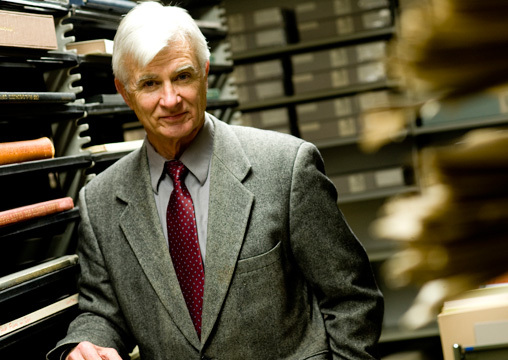 UNCG historian Dr. Loren Schweninger worked on The Slavery Petitions Project for 18 years. The online archive includes the names of more than 83,000 slaves from 15 states and the District of Columbia and provides a glimpse into the personal lives of slaves. University Libraries are a premier resource not only for students and faculty, but for community members in the Triad and beyond. In 2009, UNCG introduced new digital resources that serve both as critical reference materials and as important documentation, particularly around the history of our own community. The Digital Library on American Slavery is a website developed and hosted by the University Libraries, in collaboration with UNCG historian Dr. Loren Schweninger who recently unveiled the Race and Slavery Project. The site offers data on race and slavery extracted from 18th and 19th-century documents. Civil Rights Greensboro makes available the unique archival resources of UNCG and other institutions documenting the modern civil rights era in Greensboro from the 1940s to the early 1980s. Its partner product, Greensboro VOICES, offers access to a collection of 125 interviews, providing a rich resource for historical research concerning the Civil Rights Movement in the Greensboro area. The Literary Map of North Carolina is a database-driven, searchable, multi-media online research tool created to foster interest in North Carolina’s rich literary tradition. The map focuses on works written about North Carolina and authors who live or have lived in the state. It also includes North Carolina publishers and people who have made a significant contribution to our state’s literary landscape. A collaborative project between UNCG and the North Carolina Center for the Book, the map is a program of the Department of Cultural Resources and the State Library of North Carolina.